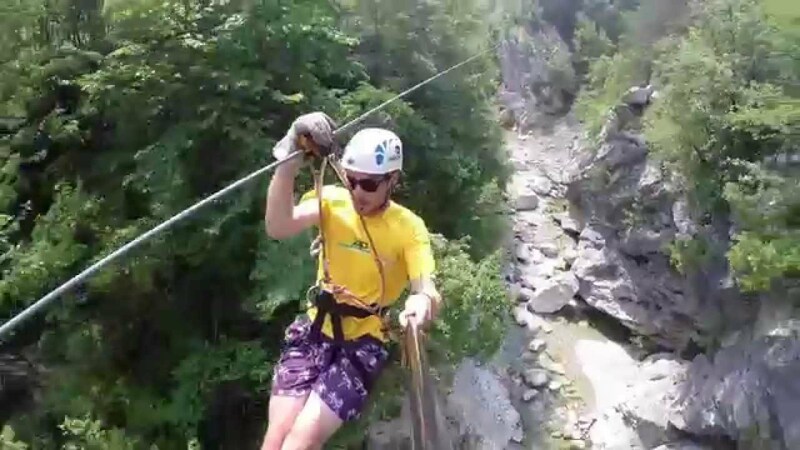 Zipline park is set in the picturesque and unspoilt Učja valley and is the biggest zipline park in Europe. Ten steel cables of different lengths (250-400m) rise from 100 to 150 vertical meters above the river Učja. In addition to exciting zipline you will enjoy unforgettable, breathtaking panoramic views towards the canyon Učja, Globoški potok stream, slope of Krn with Kobarid basin, Soča valley, Bovec basin and our highest mountain - Mount Triglav. Experienced guides, who will accompany you during trip, will also educate you with information on protected animal and plant species in the unspoiled valley of Učja river and its history. The canyon Učja is under the protection of Natura 2000.
every day: 10.00, 13.45, 17.00.